Hello all you soccer fans. 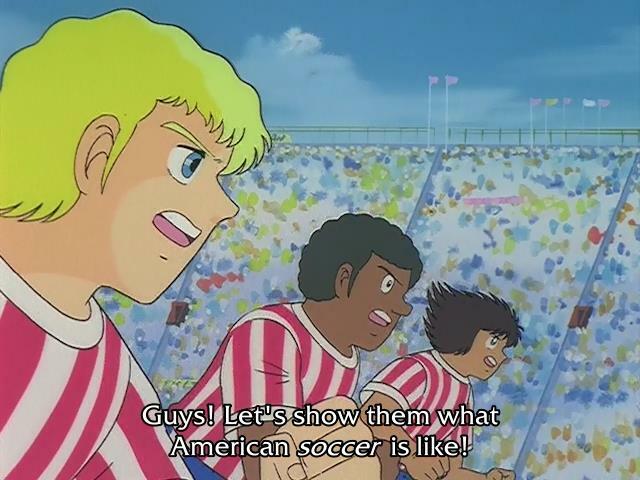 In this fourth movie based off a famous soccer manga (we skipped the third movie since it was mostly a useless clipshow), you get to see not one soccer game, not two soccer games, but three soccer games – count ’em THREE soccer games. Which soccer team will prevail and win the Junior World Cup in soccer? Of course, just as with any of our releases related to soccer, you’ll have to download and watch this animated soccer drama to find out. 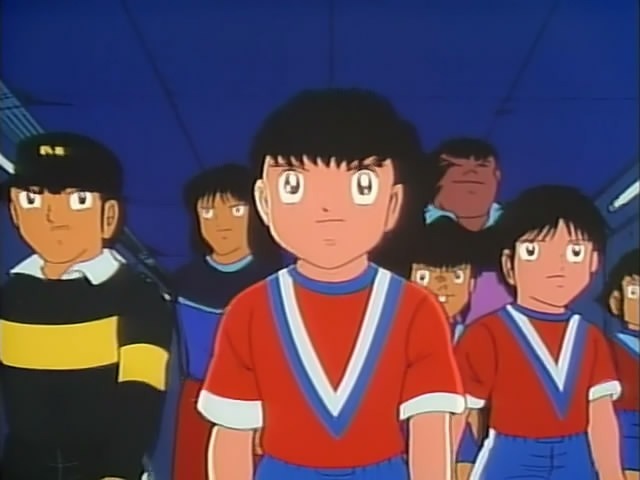 Captain Tsubasa Movie 2: The Japanese Selection Is In Danger! As the title and the picture suggest, the Japanese youth team is in danger of being eaten alive by those big, scary Europeans looking for payback. (Boogah! Boogah!) How will Tsubasa and his merry band survive this encounter? Guess you’ll have to watch and find out. 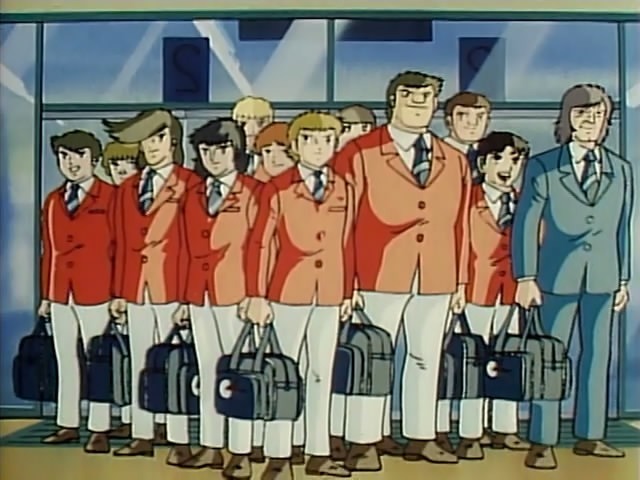 The last three episodes of El Capitan Tsubasa 2002 are finally in QC, so that should get the ball rolling soon and we should finally end that ten-year project sometime around Christmas. Also we’re getting around to working on the 4th movie too.